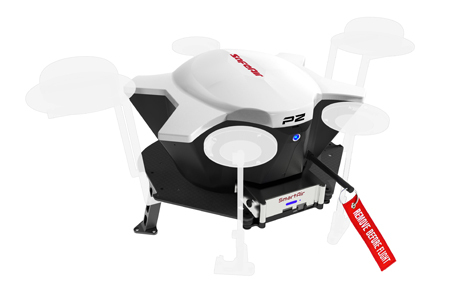 The SafeAir M-600 drone safety system is an end to end solution that is designed for DJI’s Matrice 600 series. The patented parachute deployment mechanism opens the chute to full canopy in a fraction of a second, controls the descent and enables saf safe flight over people even at low altitudes. The autonomous system capabilities identify loss of control and trigger the parachute deployment. The combination of autonomous triggering capabilities along with SafeAir’s ballistic parachute enable safe emergency recovery even at very low altitudes. ParaZero has developed the world’s fastest parachute launcher. The system shuts down the rotor power, prevents entanglement with the rotors and mitigates the risk of laceration injuries. ParaZero’s systems have been tested by a 3rd party reliability testing agency and have received a MTBCF level of 10-7. Automatic triggering of safety measures during emergencies or freefall. Can be manually activated using the DJI Channel Expansion Kit or a separate remote. With this system, can I now fly over people? No matter how safe your aircraft is, we never advise users to fly over people, but if regulation permits flying over people, SafeAir greatly reduces the risk involved. How should I store my SafeAir when not using it? In a dark and dry place. Ideal storage temperature for longest shelf life is 10-27 degrees Celsius. Operating Temperatures -25 Celsius up to 55 Celsius. Notice: do not store in a closed car in high temperatures. During parachute deployment, how do you stop the rotors engine? does the SmartAir cut them off? 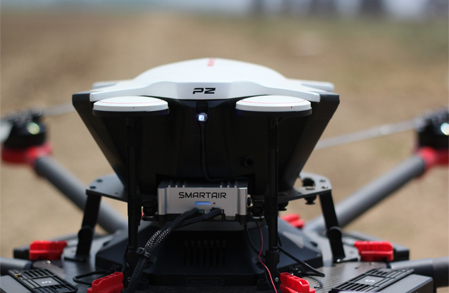 SmartAir system is using a Flight Termination System (FTS), that will cut off the drone’s engines when needed. Is there any indication that the system is ready to go before takeoff? Our systems have built-in self-check mechanism that alerts the user in case of malfunction prior to take-off. Do I need to send the drones to you? or Is it easy enough to mount the parachutes by our self? You can mount it yourself. 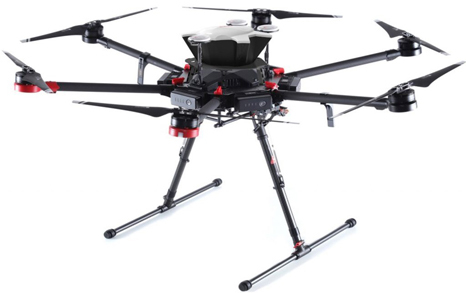 Our solution incorporates a flight termination system that cuts the power to the drone rotors. The product comes with detailed instructions on how to do it in an easy installation process and also an online video. Does the parachute system require power? 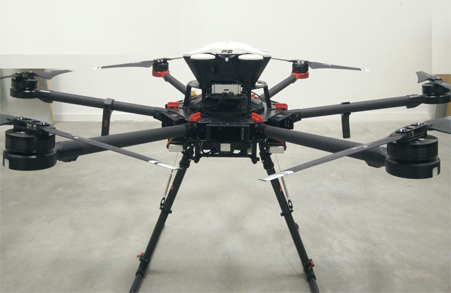 It is powered by the drone’s battery and requires very low energy. The system automatically deploys if the power runs out. There is also an optional backup battery that keeps the SmartAir alive after the power went off. Can ParaZero SafeAir systems Be Re-Packed After Deployment? SafeAir parachute system is a last resort system, such as Airbag in cars, This system was designed to work in any condition and to protect your platform and any 3rd party, as such systems, the parachute is packed in “white room “conditions, After the system was deployed it is better to simply purchase a new one or if necessary than ship it to us for repacking. Will a SafeAir System Bring My Aircraft Down Without Damage? Our tests showed that the Orientation of the falling craft influences the result and can result in minor damage such as bend or break a propeller for example. The SafeAir recovery system is planned to greatly diminish the impact energy of your aircraft, reducing the damage. How Long Are ParaZero Products Under Warranty, and What Does This Cover? All ParaZero products have a (1) one-year manufacturer warranty, which covers manufacturer-related defects, errors or faults with the product at hand. Please see detailed warranty contract on ParaZero website.